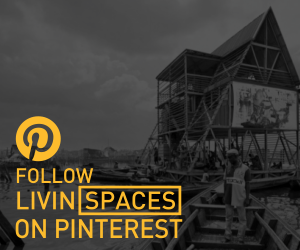 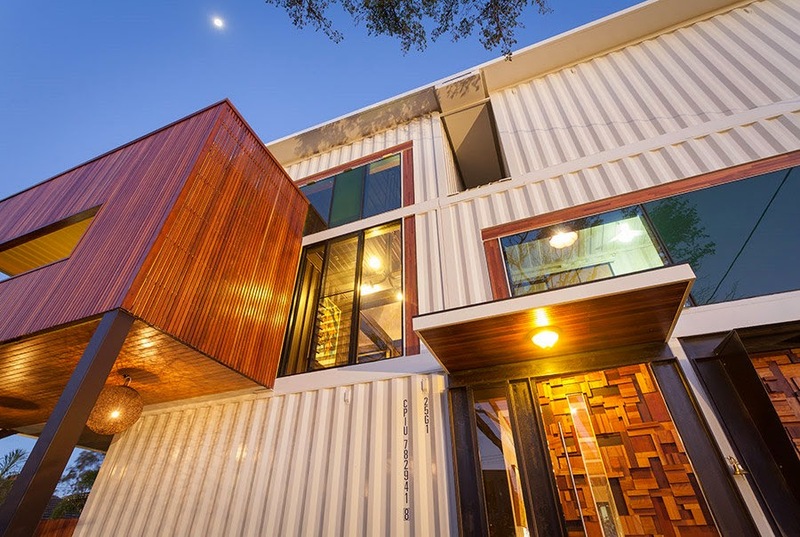 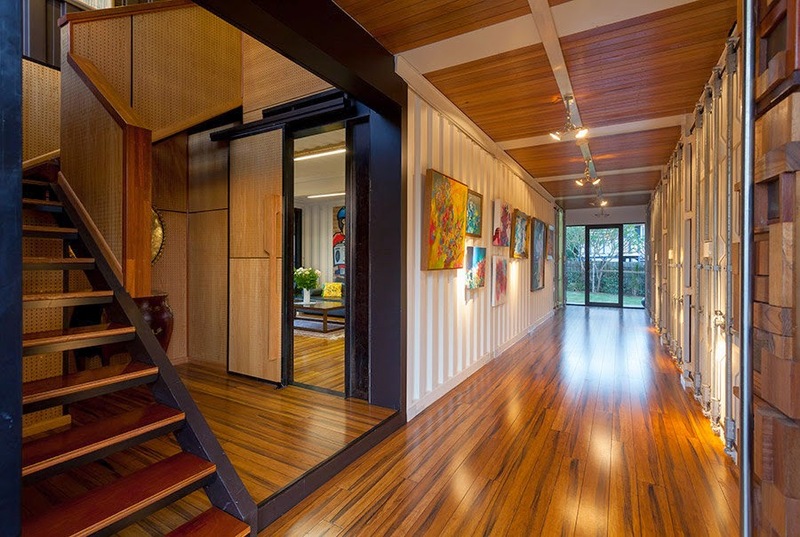 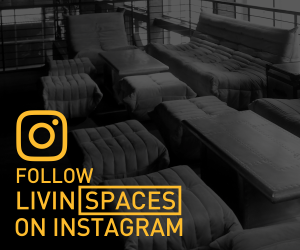 Quite possibly the largest shipping container single family dwelling in the World, this private residence was built using, a mind boggling 31 brand new 20ft (6m) shipping containers. 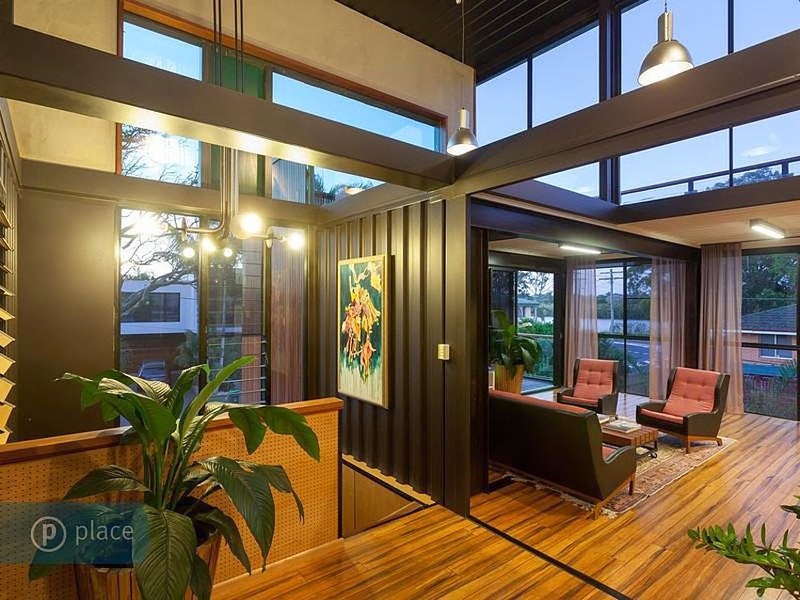 Designed and Built by builder Todd Miller of Zeigler Build, the home is officially the largest shipping container house in Australia, offering clean lines, large openspaces and exquisite finishes blended with the industrial aesthetic of the containers themselves. 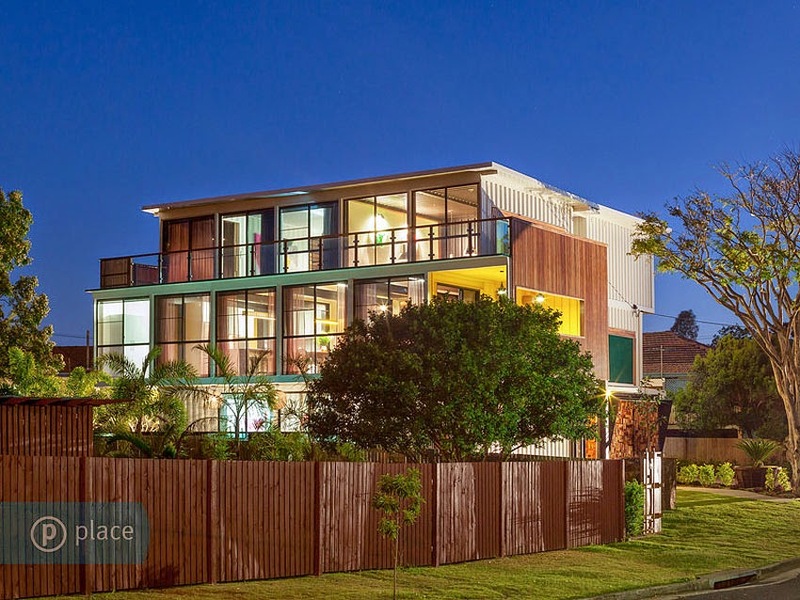 The three storey structure took almost 6 months to complete, with 4 bedrooms and 4 bathrooms and stands as a very classy and contemporary design. 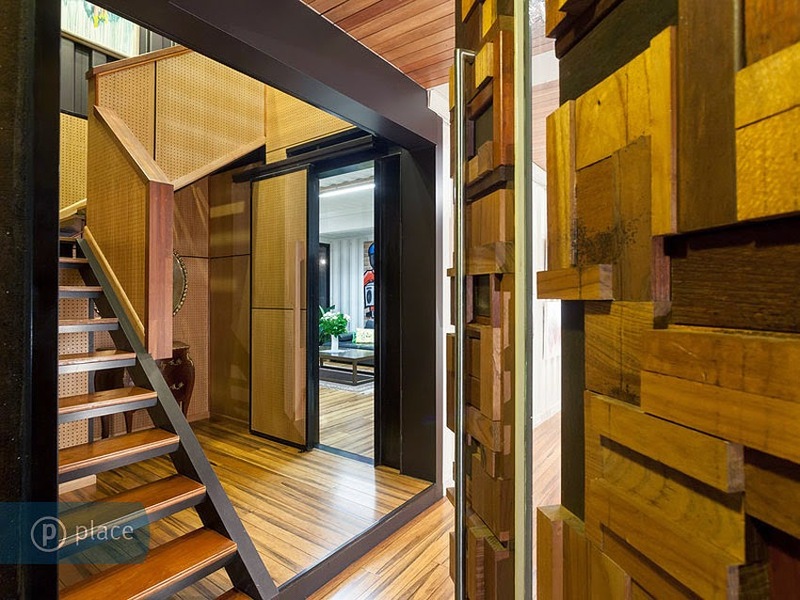 A very intricate wooden panel door welcomes you to entry foyer of the ground floor which features an outdoor-indoor interrelationship within the activity areas. 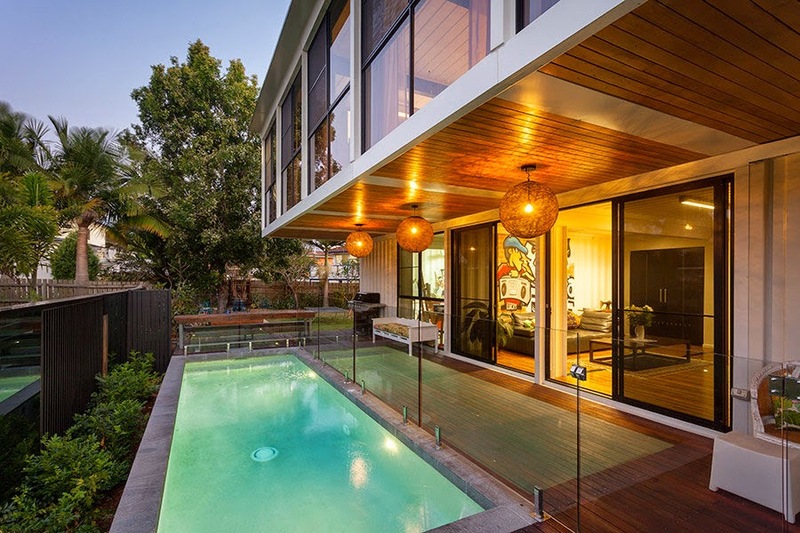 The Pool Room connects seamlessly to the pool deck which borders a sparkling salt water pool. 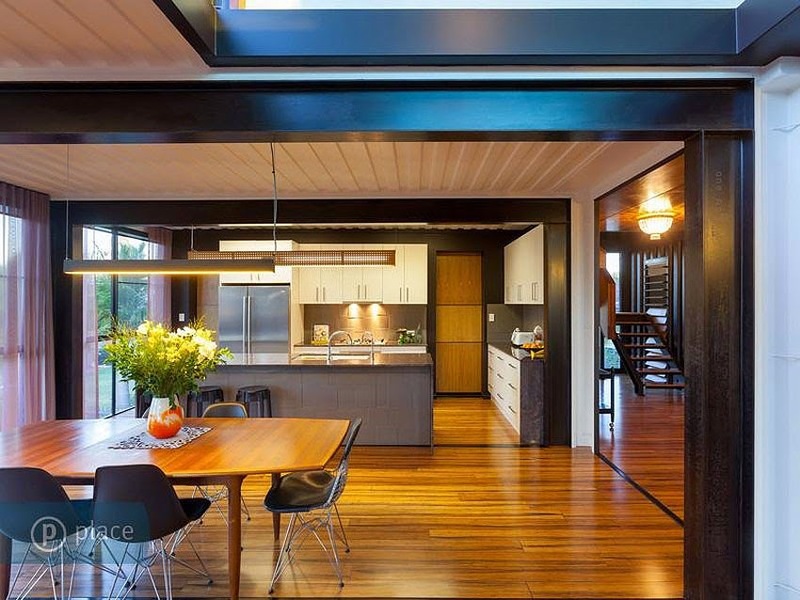 This opens the space up to cooling breezes that can be enjoyed while relaxing and entertaining. 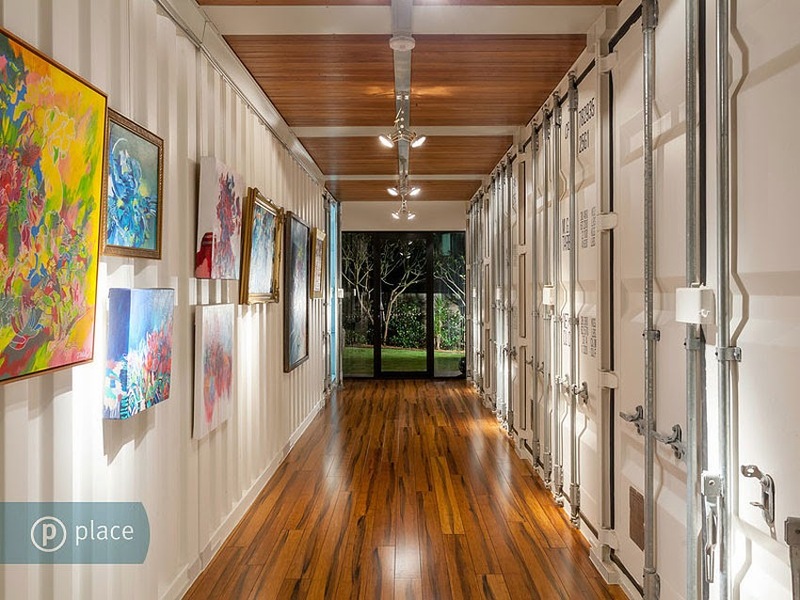 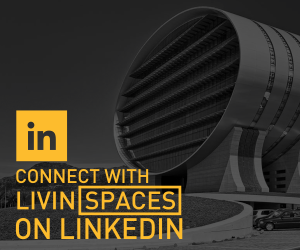 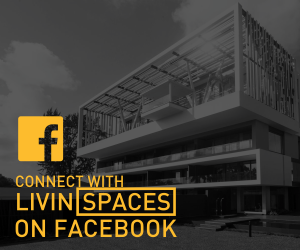 A Two car garage, workshop and gym are also located on this entry level floor and are connected by a nice hallway with container walls on one side and operable container doors on the other, allowing access to the aforementioned spaces. 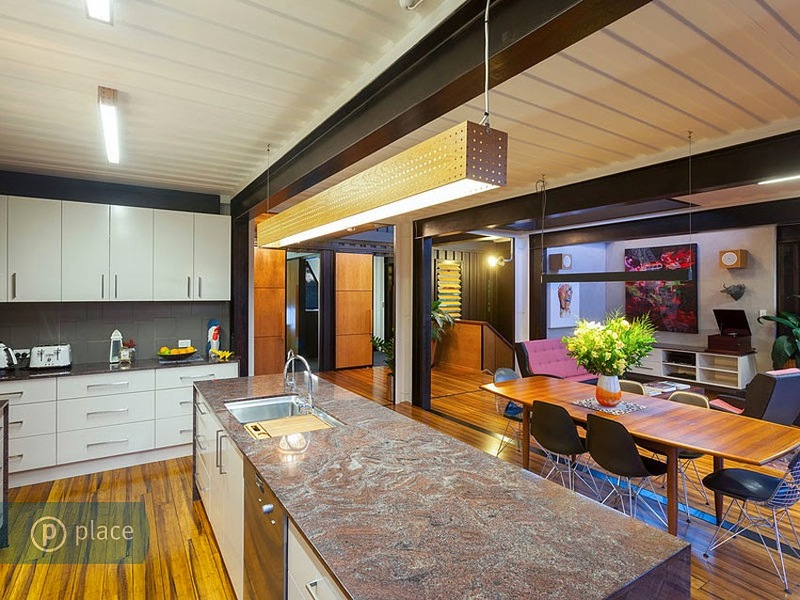 The first floor offers a large open living area featuring an exquisitely finished kitchen with a bit of classical and contemporary furnishing for the dining and sitting areas. 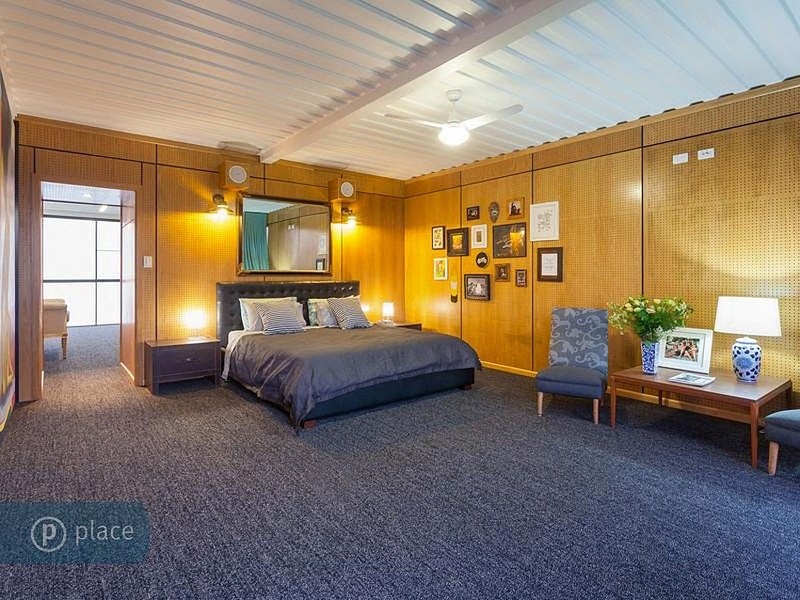 Three spacious bedrooms, (one of which is en-suite) and a study that sit opposite the living area, connected by a bright and breezy hallway opposite. 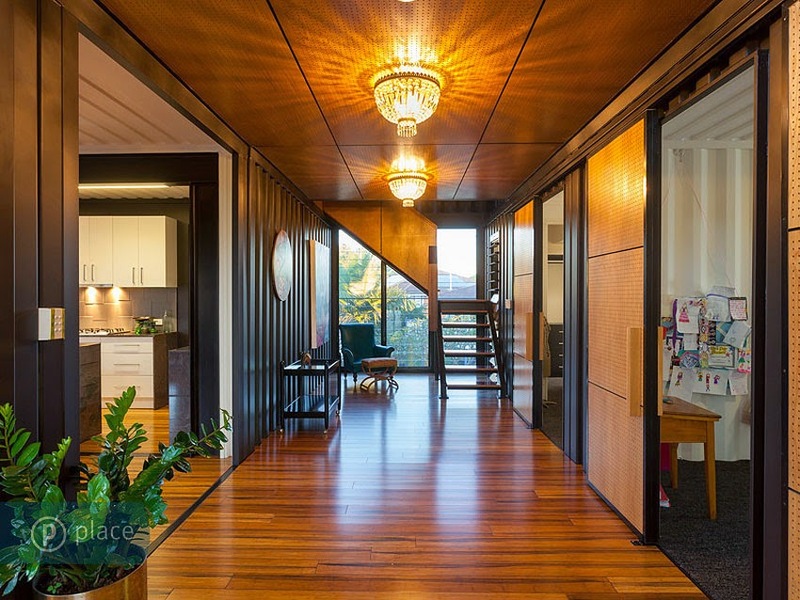 Louvre Windows at the ends of the hallway as well as the soaring void above allow for the bright and breezy flow of light and air, and views of a near by river and surrounding vegetation. 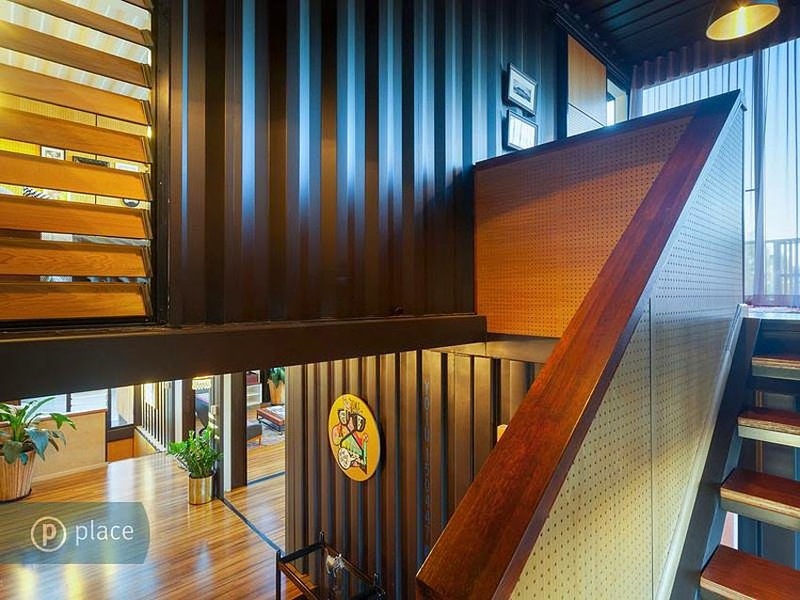 This keeps the space practical and visually engaging. 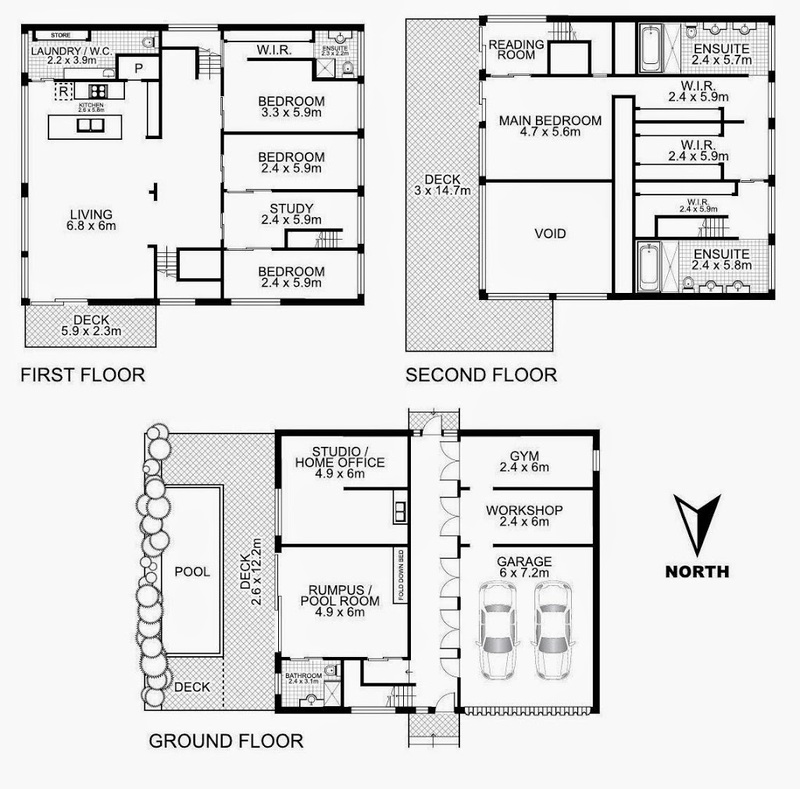 The top floor is the Master’s floor. 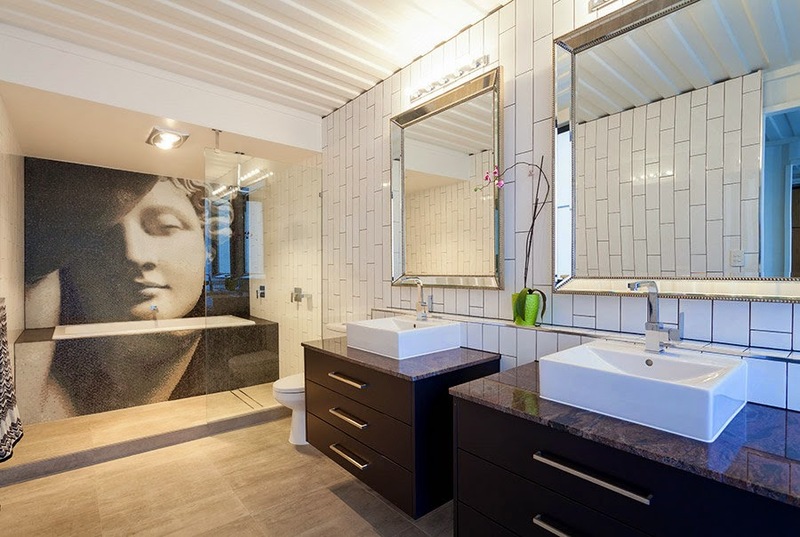 Luxurious walk in closets and En-Suite Bathrooms define the masterfully crafted layout and connect to a sleeping area that opens up a fairly large and also luxurious deck with a view of the pool below as well as the lush surroundings. 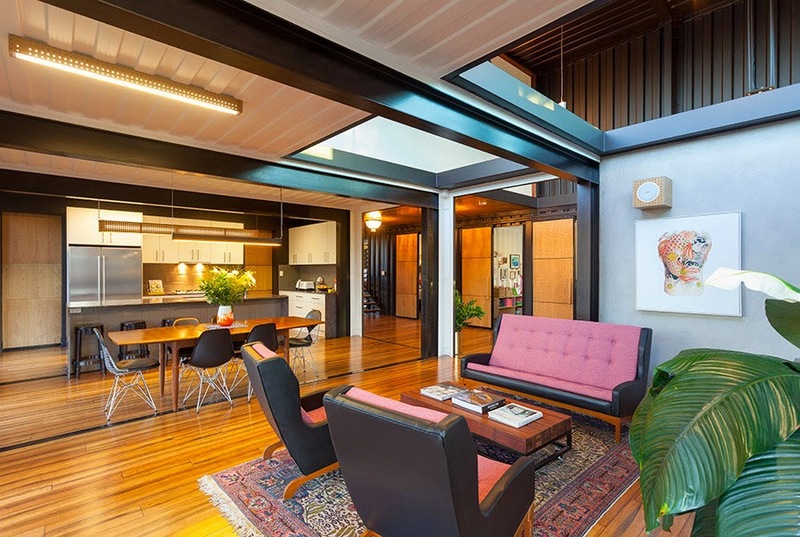 One thing I love about this home is the unabashed blend of wood and industrial grade steel, creating a unique aesthetic of modern tropical architecture which perfectly suites the climate of Queensland. 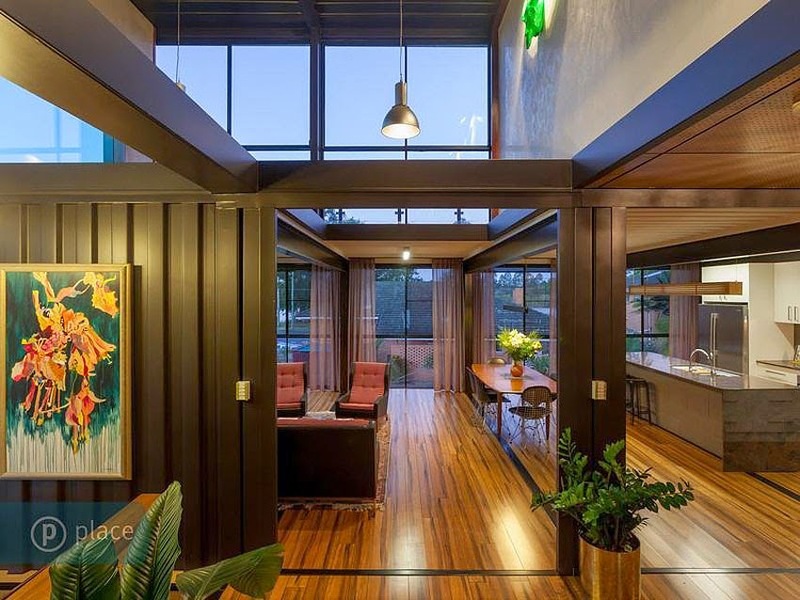 It seeks to make the most of this climate with the voids and open spaces as well as the decks and large windows, almost like a retreat you would find by the beach. 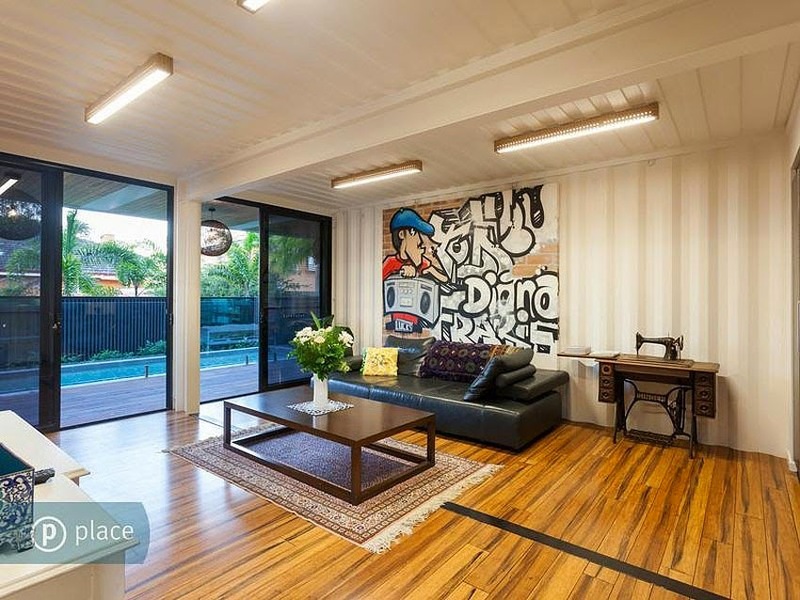 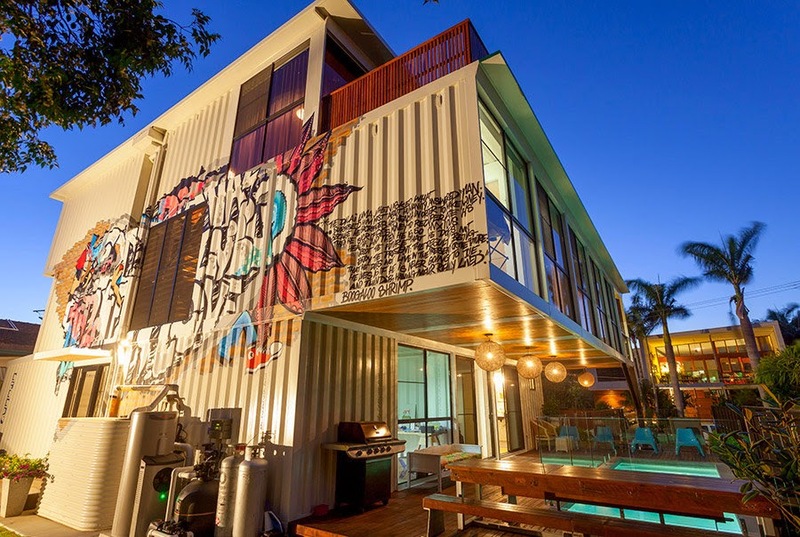 The White and Wood Exterior also speaks the same visual language with a splash of colourful and grungy graffiti wall art along the white steel container wall. 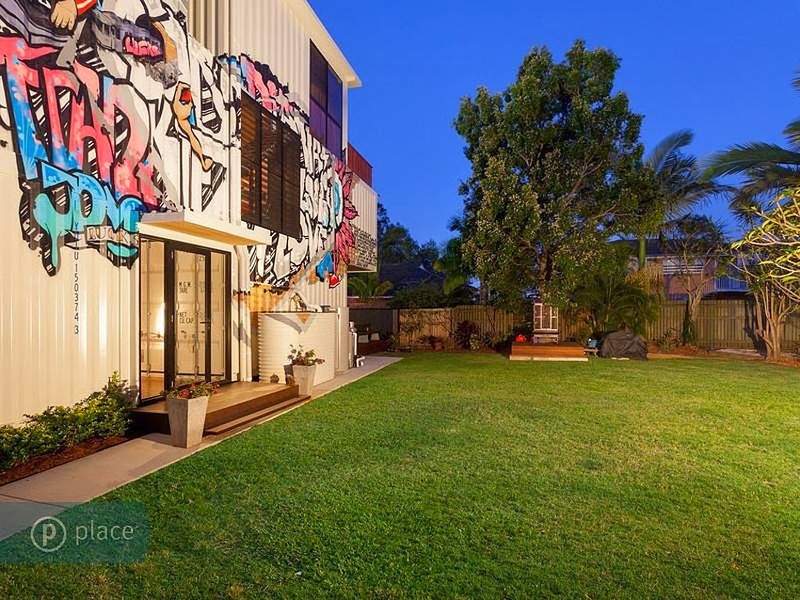 All of these features were geared towards creating a unique property offering which sold for a cool $1.55 million (Australian dollars) after being put on the market in late 2013.